For them to participate with. I just took some sewing elastic and cut it into strips, strung a bell on it, twisted some ribbon with it to make it look pretty, and tied it together (Thank you Julia for the idea!). The kids can now just slide it over their wrists and voila! Jingle bell bracelet. You can do a lot of little things with stories like this. Lily was trying to sleep in her bed, she was excited for Santa to come tomorrow night! Lily heard a noise coming from outside her window. It sounded like bells! She went to her window and opened it, hanging on her window sill were jingle bells! She picked up the bells and shook them. Can you shake yours? Lily went to sleep with her jingle bells. When she woke up she went downstairs and saw her Dad shaking milk for his cereal. Lily shook her hand like Dad, did her jingle bells make sound? Her Mom had music playing, when Lily danced. Her bells jingled! That night, her Mom and Dad took Lily to a Christmas concert. The band started to play Jingle Bells, so Lily played along with her bells! That night, as Lily was just about to fall asleep. She heard a jingling downstairs. Running down the stairs she peeked around the corner and who did she see next to the tree? SANTA! She waved letting her jingle bells sound. “Ho Ho Ho!” Santa smiled and said. Lilly laughed. Santa put his finger to his lips letting her know it was time to sneak back to bed. 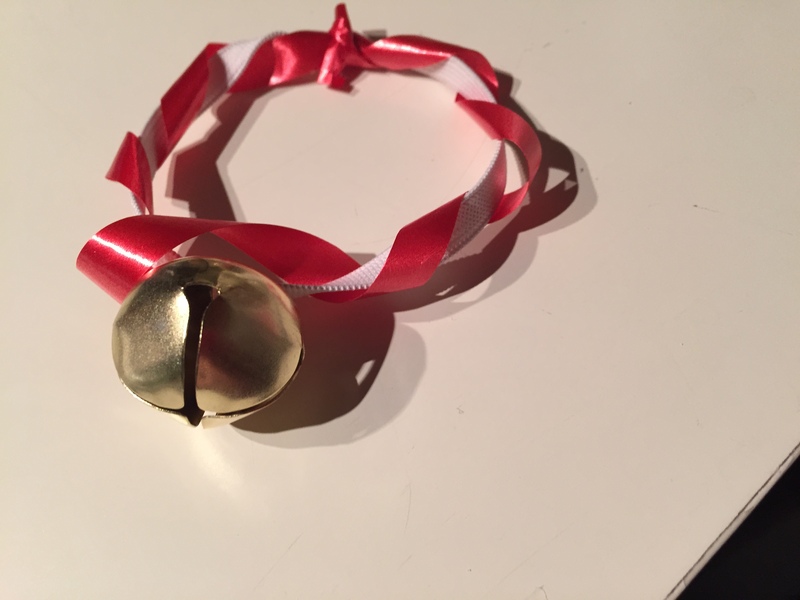 Lily put her bells on a chair giving Santa one last wave and tiptoed back upstairs to bed. She went to sleep excited for tomorrow. Ask questions, have them do different movements, even beat activities. I’m going to tell this story like a real story teller so the kids have to imagine their own picture and pay more attention to me. I love story telling, I could captivate a whole room of kids with one of my stories. It’s all about performance. What kinds of fun activities do you do with your little guys this time of year?